It's a trivia revolution! Using state of the art multimedia, digital projectors, wireless keypads, live scoreboards and more! QuizXpress is setting the new standard for trivia nights! What makes QuizXpress Trivia for Venues so popular? QuizXpress is setting the new standard for trivia nights! If you want to be one step ahead of your competitors and provide your patrons with a night full of fun, interaction and boosts your profit at the bar and bistro, then it’s hard to go past QuizXpress. Once you’ve played QuizXpress you will never want paper based trivia again! QuizXpress is just like being in a real life TV quiz show like ‘Who wants to be a millionaire’. It is high-octane quizzing that will keep your guests engaged and entertained for hours. 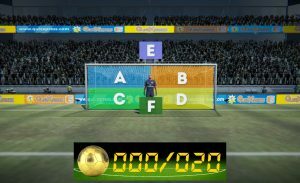 There is a dynamic LIVE scoreboard, players see the answers immediately after everyone locks in their answers. QuizXpress is state of the art trivia! Fastest Finger rounds – Only the team or person who presses the buzzer first and answers correctly gets the points. Everybody Answers – All players or teams get to answer and everyone stands to lose or win points but wait to long and as the clock counts down so do the points. So be quick and your rewarded. Trivia Ladder – Depending on how you answer in the round dictates your position on the ladder and the amount of points you win. Think of Millionaire Hotseat and this is Trivia Ladder. Game Time – Throughout the night we’ll play some fun, exciting and totally interactive games like a Horse Race, Magic Cups, Penalty Shootout, Wheel of Fun, High and Low cards and you have the makings of a awesome night of entertainment. 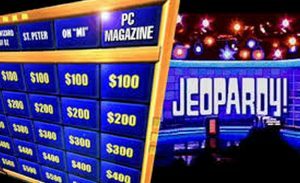 Plus, throw in a Jeopardy round, Fast Money and Wager questions and you have an action packed evening full of nail biting moments. Not sure if you want to replace your successful paper based trivia night, then why not try our Entertainment Suite, where for as little as $50 per week you get acess to 7 x mini games that will take your promotions to another level plus you get access to 2 x mini game shows each week which you can use alongside your paper based trivia to make it even more fun and engaging. Why not Mix N Match and try Infusion or Varingo one night per month in place of your Poker or paper based trivia or add it to another night of the week to appeal to a different demographic. The advantage with Time Out Entertainment is we have all bases covered from paper based trivia to electronic game shows like QuizXpress and Infusion through to Varingo which is a creative spin on Bingo. One thing you can be sure of, we are here to see you pack your venue and boost your profits. So what do you say, let’s start a trivia revolution today with QuizXpress! Q: HOW MANY PEOPLE CAN PLAY EACH WEEK? The base price includes up to 20 keypads. So on average this allows between 50-100 people to play each week. Then add on the ability for up to 30 mobile connections and you can easily have anywhere from 150-200 people playing each week in the base price. Q: WHAT MARKETING WILL YOU DO? Each week we post on social media the winners photos and tag your venue in it to boost your social media profile. We will also list your venue on the Time Out web site so that people can find your venue when they look for what's on in their area. Ultimately though, for best results, word of mouth is your best advertising and we have found that those venues who promote the game show heavily from the bar, see the best results. Q: AM I LOCKED IN TO THE ONE ENTERTAINMENT PROGRAM? Absolutely not! Unlike other entertainment providers who may only offer the one product like Paper trivia, at Time Out, you have a plethora of options where you can experiment until you find the right program that meets your needs. 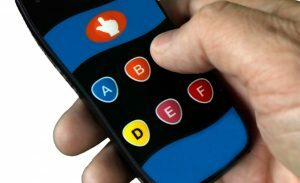 This could be a paper based trivia night with only 2 or 3 rounds of QuizXpress with interactive wireless keypads or it could be a night of Trivingo or the infusion game show. Either way, you can rest assured we want to see your venue successful and you can expiriment with any of the programs to find the best suit for your venue. Q: HOW LONG DOES AN INFUSION GAME SHOW LAST? Q: HOW LONG DO I NEED TO SIGN UP FOR? We have various term commitments ranging from 3month, 6month and 12 month terms. Pricing is cheaper the longer the term commitment. Q: WHAT HAPPENS IF I FIND THAT QUIZXPRESS IS NOT WORKING AT MY VENUE? This can happen as every venue is different and not every entertainment option will work at every venue. If you find QuizXpress doesn't work, then why not try one of our other entertainment options like TriviAVision or Infusion or Varingo. We want to work with you to find the right entertainment option to maximise your ROI. QuizXpress Trivia for Venues: Now playing at a venue near you!